Three Offaly men have been commissioned as cadets at the latest Irish Defence Forces ceremony at Dublin Castle. The ceremony was attended by Taoiseach Leo Varadkar, Minister with Responsibility for Defence, Paul Kehoe and Chief of Staff of the Defence Forces, Vice Admiral Mark Mellett DSM. It saw the attended the commissioning of 67 new Army Officers, one Air Corps Officer and nine Maltese Officers, including Offaly men Ciarán Feeney, Mark Kennedy and Gavin Smyth who became cadets. 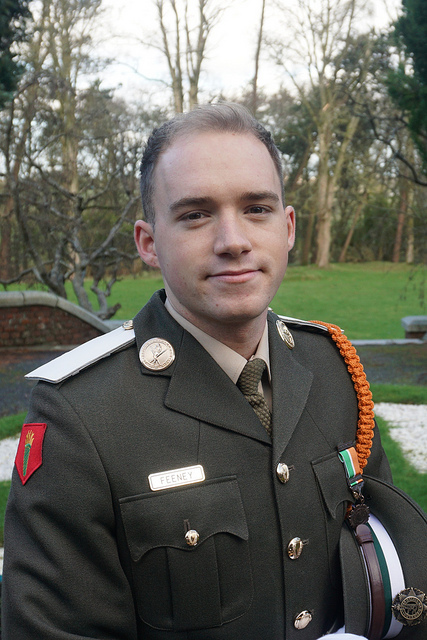 Cadet Ciarán Feeney is from Clonbullogue and is 23 years of age. He is the son of Mary O’Brien and Michael Feeney and has three brothers. He had previous service before joining the Cadetship, having spent time as a 3 Star Private in the 12 BN, Limerick. He was transferred to the Infantry Weapons Wing, DFTC prior to being offered his Cadetship. He represented the Cadet School in the Falling Plates shooting competition and was selected as part of a team to represent The Defence Forces in a march and shoot competition in the Royal Military Academy Sandhurst. His interests include GAA, football, and music. Cadet Mark Kennedy is from Daingean and is 26 years old. He is the son of Kevin and Jane Kennedy. He graduated from AIT Athlone with an honours degree in Business, Sport and Tourism Management. 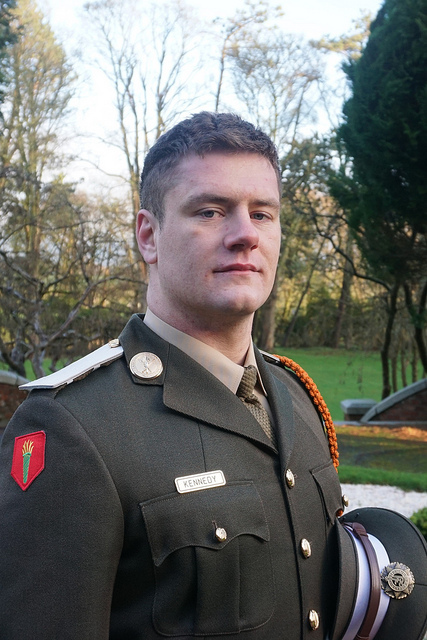 Prior to being awarded his Cadetship, Mark represented AIT in the All- Ireland Colleges Rugby Championship. He was part of a successful team, winning three national titles during his four years at AIT. During his Cadetship Mark has represented the Cadet School at the Defence forces indoor athletics and boxing championships. He also played a vital role in creating the cadet school rugby team and captained the side. 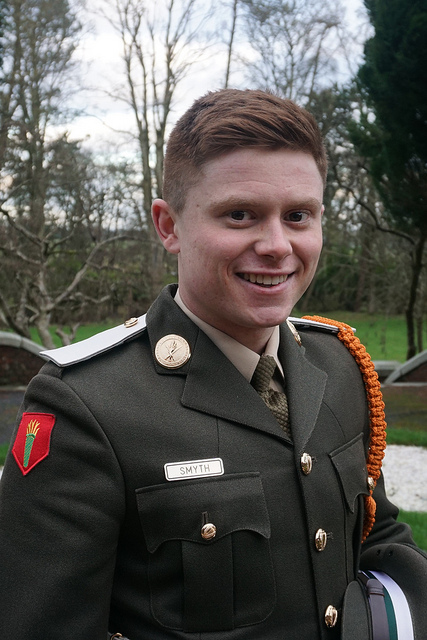 Cadet Gavin Smyth is from Portarlington and is 21 years of age. He is a son to Colin and Carol Smyth. He studied Aircraft Systems in Institute of Technology Carlow while completing two years in the course prior to being awarded his cadetship. His interests include Gaelic football, music and soccer. He represented the Cadet School in Gaelic football, hurling, traditional Irish music and soccer.